John followed his dream into the priesthood and as a priest found himself teaching young boys on the street who had no place to go, and were too old for catechism classes. He began to travel from town to town teaching young men in this way and soon found himself drawing a company of followers. His company was dedicated to his “Preventive System of Education.” He believed education to be a “matter of the heart” and said that the boys must not only be loved, but know that they are loved. He also pointed to three components of the Preventive System: reason, religion and kindness. His group would eventually become the Salesian Society. 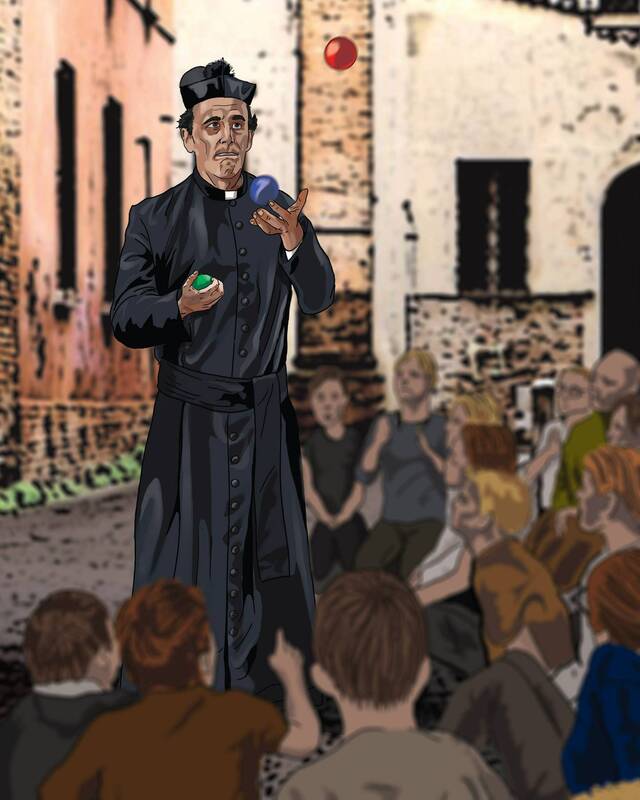 John Bosco was also known for his dreams. His most famous dream was of a ship with the pope as the captain. The ship was attacked by several other smaller ships and the pope was killed. A new pope took his place and he was killed as well. However, every time a pope fell a new one would take his place. When a storm began to roll in the pope commanded the ship to anchor itself to two pillars, one with Mary at the top and the other with the Eucharist. When the storm hit the smaller ships were lost, but the ship with the pope as captain stayed afloat.